United Nations, Dec 19: Britain is in favour of an Egyptian-drafted Security Council resolution on the status of Jerusalem, said a British envoy to the United Nations on Monday. "The United Kingdom will vote in favour of the Egyptian text on Jerusalem because it's in line with our long-standing position on Jerusalem, it's in line with previous Security Council resolutions," Xinhua quoted Matthew Rycroft, the British ambassador to the United Nations, as saying. 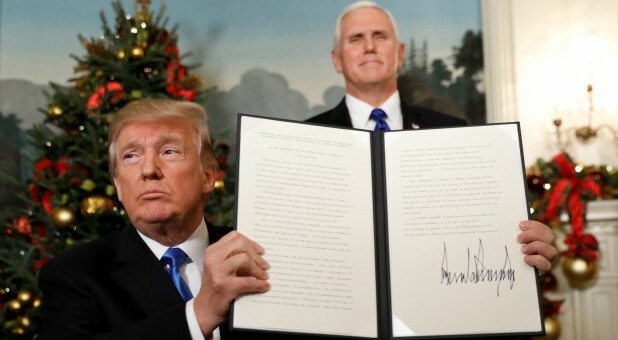 Rycroft said his country believes that Jerusalem is a final-status issue and that Jerusalem should be a shared capital for Israelis and Palestinians. The British embassy in Israel will remain in Tel Aviv, he added. US President Donald Trump announced on December 6 that he was formally recognising Jerusalem as Israel's capital, causing criticism in the world and riots in the Middle East region. Talking about a possible US veto of the draft resolution, Rycroft said the US continues to play an important role in the Middle East peace process. He expressed the hope that the Trump administration will put forward detailed proposals to take that process forward. He called on political leaders to encourage everyone to refrain from violence. "It's only in a peaceful situation that the chances of peace will be maximized," he said.